In real estate contracts the "contingency" is a common element. Contingencies are clauses in a contract, e.g., a home inspection, that must be conducted in order for the purchase to go forward. And, if certain conditions or timelines aren't met then either the buyer or seller will have a right to "cancel" the contract. A common contingency in a real estate contract is a buyer making an offer on a Florida property before selling their existing home. The buyer needs to find a buyer for his present home first because he needs the sales proceeds for down payment and closing costs to consummate the sale on the "new" SW Florida home. So, he makes his offer contingent upon the sale of his existing home. There should always be a time period associated with a contingency, e.g., the buyer needs to sell his present home within 90 days, or the seller has the option of cancelling the contract. In most cases, sellers won't accept this kind of contingency, unless it contains a provision for a 72 hour "kick out" clause. What that means is if, in the interim, buyer 2 makes an offer to the seller, the present buyer (buyer 1) has 72 hours to decide if they will proceed anyway (whether his house sells or not), remove the contingency on the sale of his existing home, and possibly end up owning two homes at the same time. Obviously, this buyer needs either sufficient funds to pay cash to close or needs a mortgage approval that supports his having two house payments. If the buyer cannot do either of these options, then he declines the 72 hours "kick out" clause and the seller sells to buyer 2 and returns the earnest money deposit back to the original buyer. Contingencies that depend on the buyer being able to obtain mortgage financing are often very common. The timeframe depends on the situation; however, most savvy buyers know that having a "true" mortgage loan approval letter in hand before they buy, will give them an advantage over buyers who don't have one. The most usual type of contingency is the "contingent upon satisfactory home inspection." There are any number of specific types of inspections for which a contingency might be included in this category. Some of the more common items would include inspection by a qualified home inspector for hidden defects, pest inspections, roof, pool, well and septic system inspections, and inspections dealing with the presence of radon or mold. It's not unusual for a buyer to request a formal appraisal and for the home's appraised value to be equal - or exeed - the sales price. Since lenders will nearly always want an appraisal performed, sellers usually don't have a problem with this contingency. The "key" to this contingency is if the house doesn't appraise for the agreed upon sales price or better, the purchase contract is rescinded or the price is renegotiated. 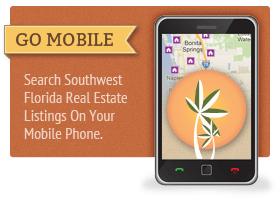 And, please be sure to check out our other Florida home seller information pages. 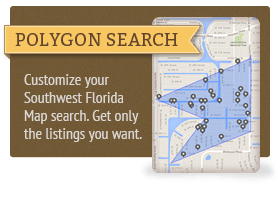 They are full of useful information for buying or selling a Southwest Florida home or condominium.